Proprietary Name: Assured Maximum Strength Nasal Decongestant What is the Proprietary Name? Non-Proprietary Name: Phenylephrine Hcl What is the Non-Proprietary Name? 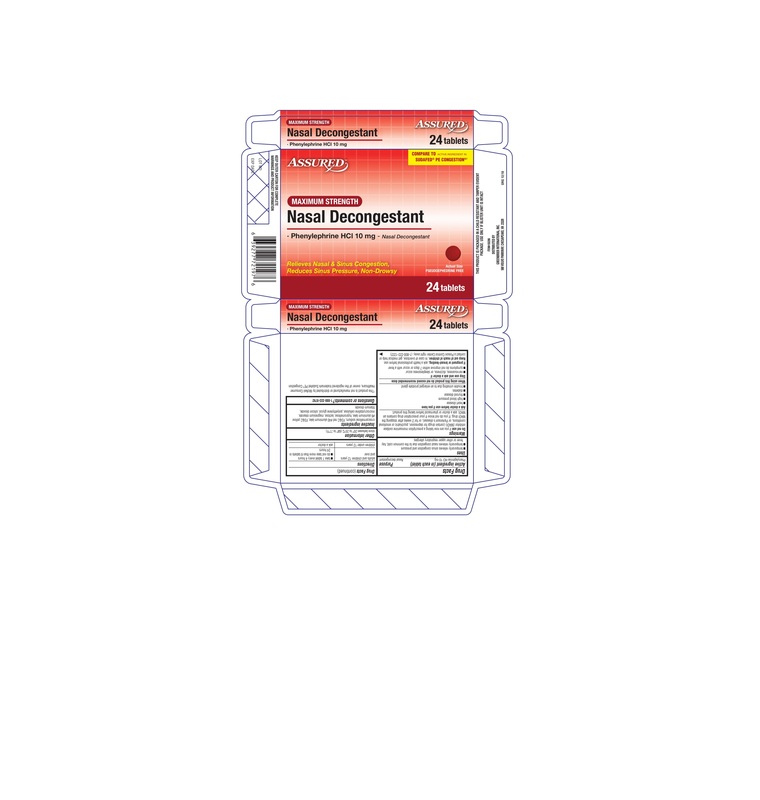 Assured Maximum Strength Nasal Decongestant with NDC 68210-1180 is a a human over the counter drug product labeled by Spirit Pharmaceuticals Llc. The generic name of Assured Maximum Strength Nasal Decongestant is phenylephrine hcl. The product's dosage form is tablet and is administered via oral form. MAOI, ask a doctor or pharmacist before taking this product.